OPEN HOUSE - January 27, 2019(Sunday 2:00 to 5:00 PM). Long Term Rent: $2,500.00, plus: GET (4.712%). Total: $2,618.00 (per month). 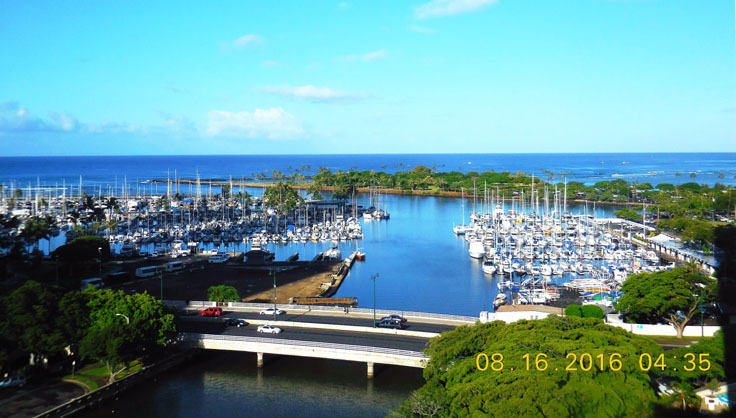 Notice/Update: This will be the first time, in a long time, that a High Floor, End Unit with unobstructed Ocean, Harbor and Canal views, is For Rent. 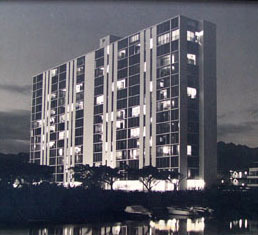 This 15 story high rise building is a block to the Hawaii State Convention Center; across the street from the Ala Moana Hotel; behind Yacht Harbor Towers and the YMCA complex (closed); one block to the Ala Moana Shopping Center, Ala Moana Beach Park (Magic Island), Pacific Ocean, and at the entrance to Waikiki. The apartment is partially furnished (appliances). There is a Washer and Dryer in the apartment. The rooms have marble/laminate/tile/carpet floors. Atkinson Towers is a secured building, with two elevators, and there is a Resident Manager. There are Individual Owners' assigned storage/lockers on each floor. Basic cable TV and High Speed Internet are included in the Rent. The Tenant pays the electrical (HECO) on a separate meter. No Pets are allowed, with the exception of certified seeing-eye dogs. 1. What about a Parking Stall? Parking Stall #34 is covered and steps to the Bldg. front door. The parking stall #34 on the Atkinson Towers property rents at $250.00/month, which is included in the Lease Rent. House Rules(40 pages). FAQ For Rent.